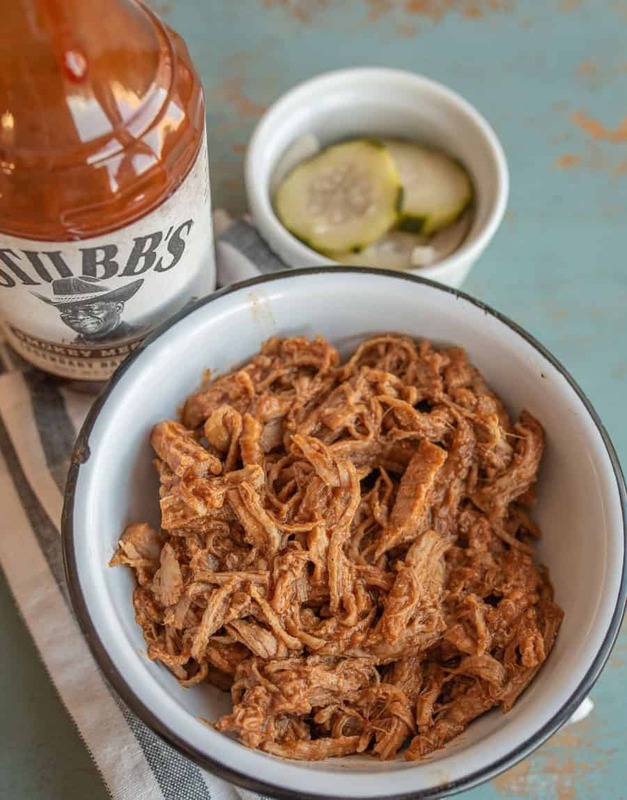 This classic barbecue pulled pork recipe is about to amplify your kitchen game. With a few simple ingredients tossed into the Crock Pot, you’ll have smoky, indulgent BBQ Pork Tenderloin in just about 4 hours–or less! 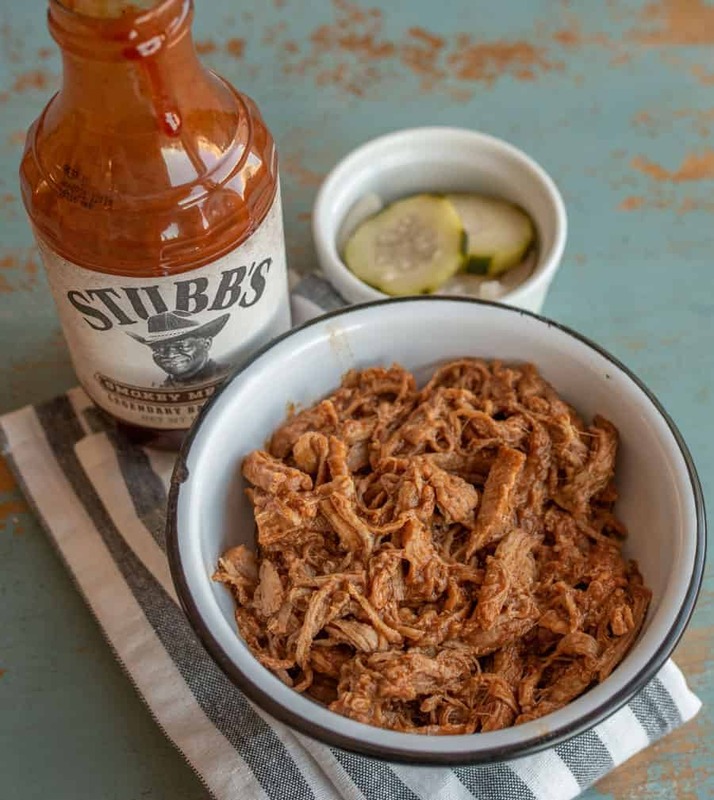 There’s something about pulled pork that warms the heart and the belly. It’s a comfort food that also doubles as a protein-packed, flavor-forward topping, filling, or accompaniment, depending on how you serve it. Speaking of serving it, this dish is great in tacos and sliders, or on top of a salad, fries, or nachos! Barbecue always reminds me of warm, sunny summer days–can I get an amen? So, eating it in the spring is a fresh reminder that longer days filled with popsicles and patio sitting are on the horizon. And I can’t wait! The fun thing about BBQ Pork Tenderloin in the Crock Pot is that it takes almost no time to throw everything into the slow cooker, and then in just a few hours, you have a delicious meal on your hands. (Not to mention, your home will smell scrumptious, as well!) 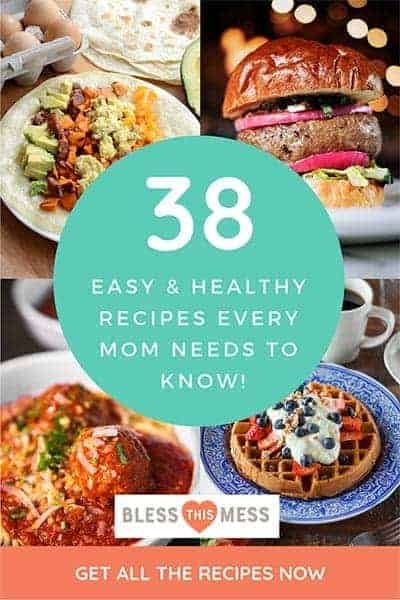 I love this recipe for busy, on-the-go weeknights, as well as for low-key family and friends gatherings on the weekend. Pour a glass of lemonade, and you’ve got yourself a good meal that everyone will love. Can you make BBQ Pork Tenderloin in an Instant Pot? Absolutely! I love an Instant Pot hack, and this miracle machine makes my simple BBQ Pork Tenderloin recipe even simpler and more efficient if you’re really crunched for time. (Hey, I’ve been there!) A good rule of thumb for cooking your tenderloin in the Instant Pot is to cook it on high pressure for 20 minutes per pound of pork. So, a 2-pound tenderloin would need 40 minutes of cook time on high pressure. Can you double the recipe for a larger group? This is an excellent recipe for a crowd because you can easily fit 3 to 4 tenderloins in most slow cookers. That’s my kind of party! Just be sure to pay attention to the cooking time; as the pounds of pork go up, so should the amount of time cooked. Another pro tip? Cutting up the pork, no matter how much you’re making, into 3 to 4 chubby pieces per tenderloin will reduce cook time, big time. For busy days, this little trick is a lifesaver! When should you add the BBQ sauce? I’m a big fan of adding the BBQ sauce after the pork has been cooked. Some people prefer to do it before as a sort of marinade, but adding it at the end safeguards you from overcooking or even burning the sauce. 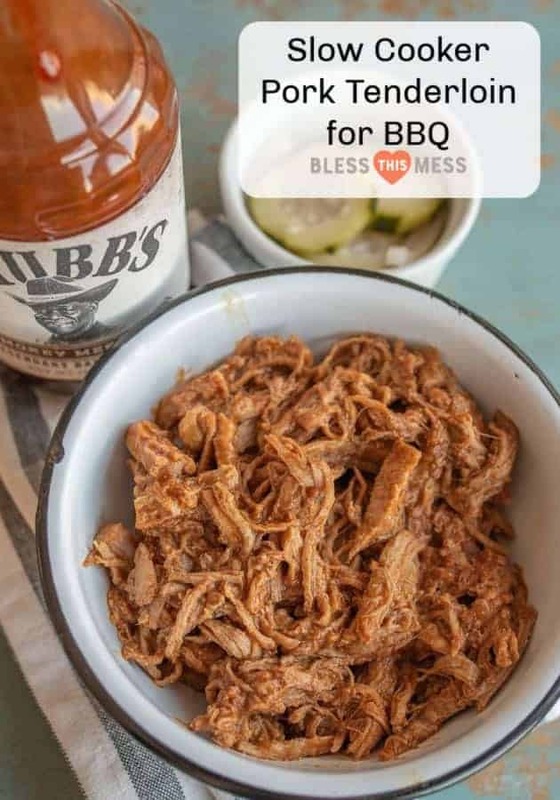 Plus, if you have BBQ sauce-naysayers in your home like I do, you can remove some of the meat before mixing in the sauce to save some plain pork for those who want it. 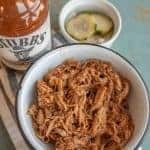 A quick and easy recipe to make BBQ pork tenderloin in the crock pot with only a few simple ingredients and in about 4 hours. Remove the pork tenderloin from the package, and place it on a cutting board. In a small bowl combine the salt, smoked paprika, garlic powder, and onion powder. Mix to combine. Rub your spice mixture all over the tenderloin, and then place it in the bottom of your slow cooker. Add the water or chicken stock to the bottom of the slow cooker (don’t pour it over the pork, though, so that you don’t wash off your spice rub). Add the lid and cook on high for 4-5 hours, or until the tenderloin is easy to shred with a fork. 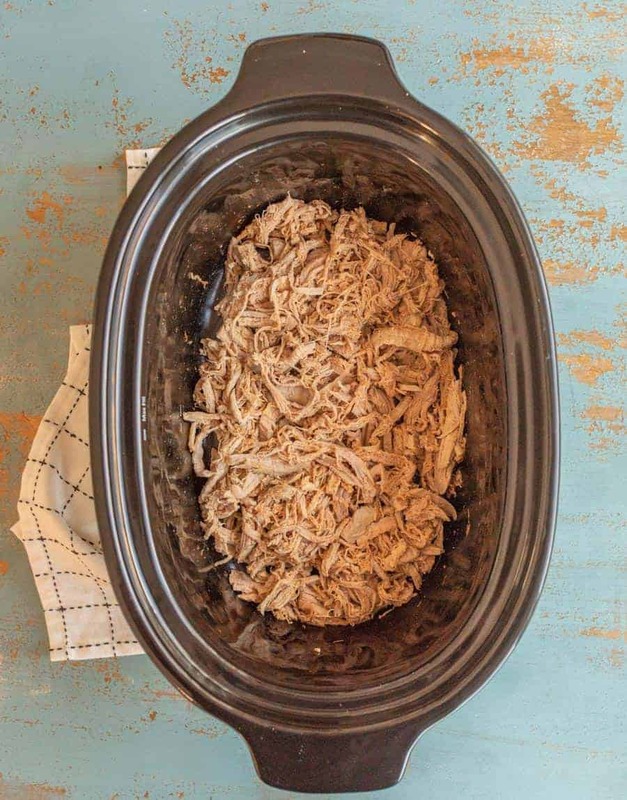 Remove the pork from the crock pot, and shred with 2 forks. Return it to the slow cooker, and mix it with any liquid that might have remained in the bottom of the slow cooker. Add your BBQ sauce, and stir to combine. Adjust salt and BBQ amounts to your liking, serve warm. This recipe is really easy to scale up. If you are feeding a crowd, you can put up to 3 or 4 tenderloins in your slow cooker at a time. Your cooking time will increase as the pounds of pork increases. I like adding the BBQ sauce after the pork as cooked for a few reasons. It doesn’t overcook the sauce or “burn” it. Not everyone likes BBQ in my house, so I’ll pull some of the meat out before adding the sauce for those who don’t like it. If you want your pork tenderloin to cook quicker, feel free to cut your tenderloin into 3 or 4 chubby pieces. When it’s cut up, it could take as few as 3 hours to cook until tender. So many delicious things to eat! 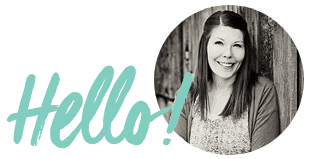 I can’t wait for you to try them all!